I’ve Failed My Driving Test. How Can I Prepare Myself? Home > Driving > I’ve Failed My Driving Test. How Can I Prepare Myself To Make Sure I Pass? Learning to drive can be an incredibly stressful time in anyone’s life, no matter your age. 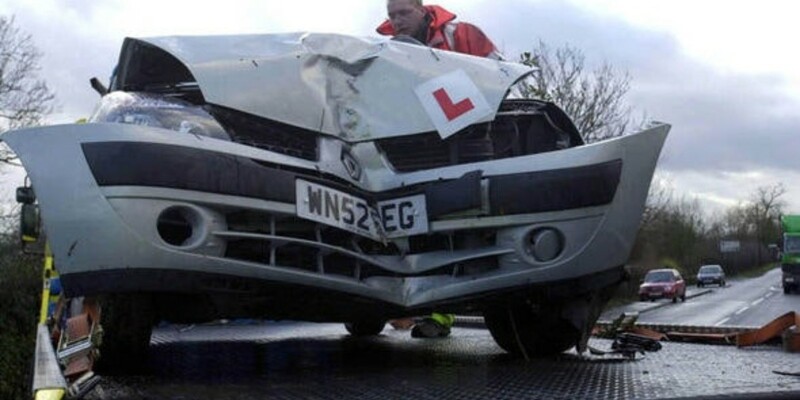 When learning to drive, our end goal is of course to pass, but it’s completely normal to not pass the first time – and you should not be worrying about this too much. It sounds extremely obvious, but practice, practice, and practice some more! Book in additional lessons with your instructor ahead of your test, and request to focus on those areas you feel you need to improve on the most. Whether that’s a manoeuvre you feel nervous about executing, or just your hazard awareness when in the car, every little helps. There’s nothing worse than getting yourself stressed out, especially ahead of a big test. This also applies to other areas of your life – worrying about exams, or work, doesn’t help us in the long run, and can only make our anxiety and nerves worse. Relaxing in the lead-up to your next driving test is key. From exercise to reading, to simply enjoying a nice meal with friends, or a bath and a good film the night before – you choose, but make sure you take your mind off the test for at least an evening. Make sure you’re relaxed on the day of your next test, too. Have a healthy breakfast, plenty of water, and get some fresh air if the nerves do kick in slightly. Get family members or friends to test you, perhaps not daily, but at least 3 times a week in the run-up to your next driving test. Test your knowledge of the road, practice manoeuvres in your head, and address points from your previous test which you could have done better. It all helps in the lead-up, and you’ll thank yourself after! When learning to drive, we not only learn about the road and how to operate vehicles, but we also gain plenty of other very valuable life skills, too. We learn patience and awareness, and we learn to trust others. Of course, there’s always going to be some people you disagree with on the road, just as we do in other areas of life, but it’s important to not focus on the negatives, and being open-minded can help you prepare for any future tests.